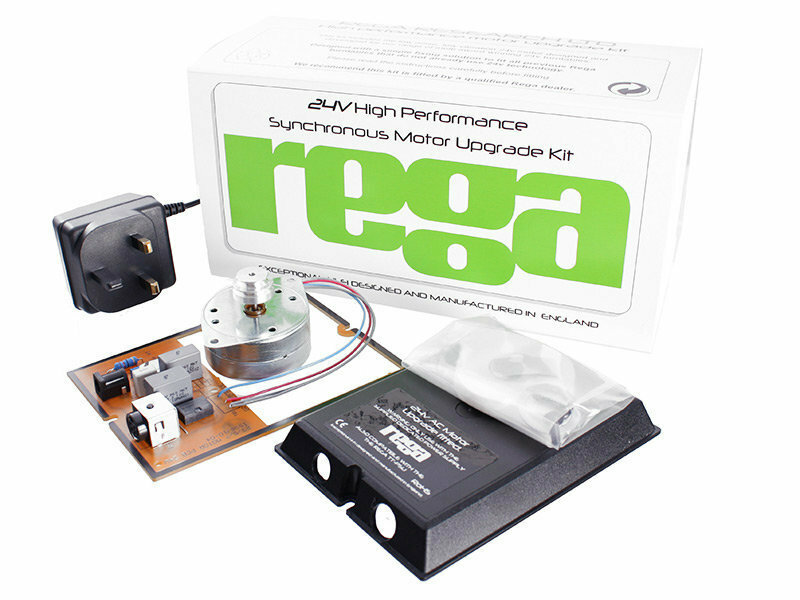 This kit includes the low noise, low vibration 24v motor designed and developed for the Rega range of multi award winning 24v turntables. Designed with a simple fixing solution to fit all previous Rega turntables that do not already use 24v technology. Guaranteed to improve drive, speed stability and sonic performance. Compatible with the Rega TT-PSU external power supply which incorporates an advanced anti-vibration circuit and offers even greater stability. The TT-PSU also has the added convenience of electronic speed change. Optimise performance with the Rega upgrade drive belt. Although simple to fit, we recommend this kit is fitted by a qualified Rega dealer to ensure maximum performance. Fits: RP1 / P1 / P2 / P2 2000 / PLANET / PLANAR 2 / PLANAR 3 / P3 2000 and PLANAR 25 turntable. Please note: For use with Rega turntables only.